Jesuitica and Jesuitana are terms used to describe material objects related to the Society of Jesus (the Jesuits). At Saint Joseph’s, Drexel Library preserves the University’s Jesuitica as a special collection. It is a diverse and growing collection composed of more than 400 volumes, some quite rare, published between the 16th and 20th centuries. It also includes unpublished manuscripts, 16th-century correspondence, engravings, broadsheets, coins, medals, and relics. Jesuitica, like the University’s other special collections, is maintained to provide encouragement and resources to the community to advance the conversation on Saint Joseph’s Jesuit heritage, patrimony, and tradition through research and scholarship. In The Jesuits and the Arts, 1540-1773 (Saint Joseph’s University Press, 2005), John W. O’Malley, S.J., explains that the establishment of the Jesuits’ first school at Messina in 1548, just eight years after the papal bull officially creating the Society of Jesus, marked a shift in the orientation of the Jesuits. 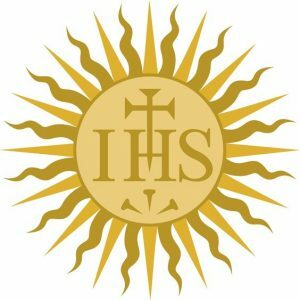 Originally conceived by St. Ignatius Loyola as a band of itinerant preachers, the Jesuits now embraced an educational apostolate focused on stable institutions and scholarship across a wide variety of disciplines. The Jesuitica collection at Saint Joseph’s testifies to the extraordinary range of Jesuit scholarship, developed over more than 450 years, in the fields of theology, philosophy, art, music, theatre, dance, astronomy, language and literature, emblematics, scripture, geography, botany, and culture. Imagines praepositorum generalium Societatis Iesu by Arnaldo Van Westerhout. Vita beati P. Ignatii Loiolae Societatis Iesu fundatoris. (Life of the Blessed Father Ignatius Loyola, Founder of the Society of Jesus).